Dr. Wes: Do Social Security Workers Make More Than Doctors? Do Social Security Workers Make More Than Doctors? 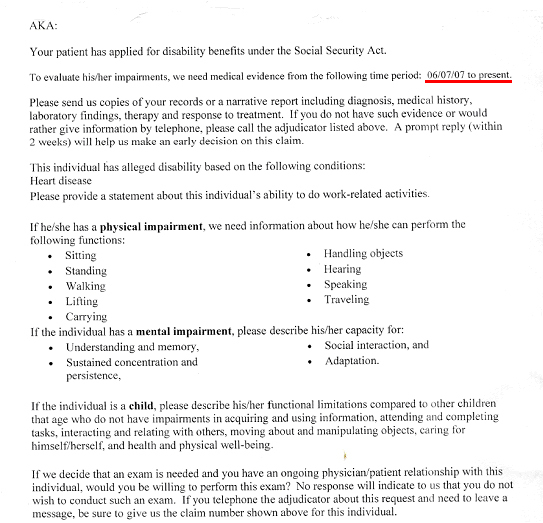 This week, like many doctors in primary care, I was sent a request by the Social Security to provide "medical evidence" that one of my patients was disabled so they could collect Social Security benefits. As part of that request, I was asked to provide evidence since June 6th, 2007, that my patient qualified for disability on the basis of "alledged" diagnosis of "Heart Disease." I was asked to send "copies of records or a narrative report including diagnosis, medical history, laborary findings, treatment and response to treatment." Beyond this, I also had to include physical and emotional impairment assessments and a functional assessment of their ability to sit, stand, walk, lift carry, handle objects, hear, speak, travel, and wash their car, view films, and eat bon bons (well, kind of). Now looking up the lowest paygrade of Social Security worker's annual compensation of $29,726 and accounting for the 13 vacation days, 13 paid sick leave days, and 10 federal holidays they get paid, I estimate the least expensive Social Security employee makes a bit more than $16.50 an hour. 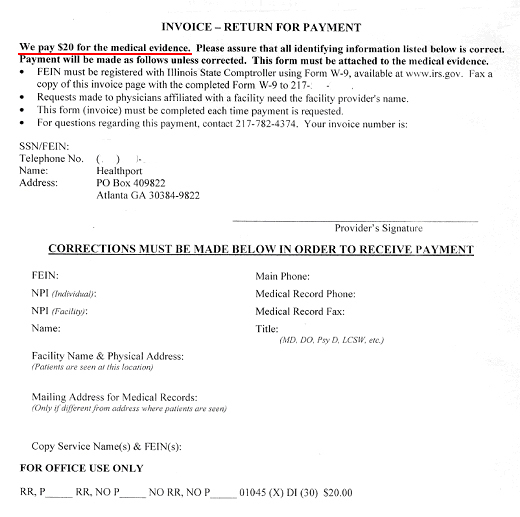 If we assume that the paperwork they just asked for takes about 2 hours collectively of office staff and doctor time, I think it's clear that doctors' payment for this service provided on behalf of our patients is substantially less than what the Social Security administration pays their own staff. I wonder what else the government has in store for us. That's a face to face appointment at our family medicine office. Anyone who fills them out for free has long since retired or gone bankrupt. When Social Security workers are driving AMG Benzes and Maseratis, we'll talk. Working for a psychiatrist, I get the honor of filling these out several times a week. I have found that the SS request is much easier than some of the other reports I have been asked to complete. One company wanted the EXACT same 5page report completed every week....and then complained that it seemed that we were just copying all the same information from week to week. Well, the patient does not come in every week (usually every 4-6 weeks). So, the patients file chart does not change much from week to week (unless of course, they want to count the calls our patient has made to us because of all the added stress this stupid company is causing her.)! I would suspect because they don't expect physicians to fill them out but instead for staff to fill them out and you to sign them. So let him do his thing..
Actually, I find this a filtering mechanism - an opportunity to have a real heart to heart talk with the pt about really being disabled. I have a pt is a retired firefighter (who receives 80% of his pay at the time of retirement) & who has been on disability for the 15 years I've been his provider for "heart problems". Now, in the 15 years, he's traveled, helped his son remodel a house, taken his grandchildren on camping/backpacking trips - you name it. His "heart disease" has also progressed due to obesity, smoking & poor diet. Yet, the taxpayers are still paying for his original "heart disease" disability. So, yeah - I think this kind of documentation should in fact go on & hopefully, he'll come across physicians like you who actually look at the history & current illness and say the two things are not related at all now. Its a progression of poor health - just like a lot of folks.